Welcome to Dulles Youth Sports! Dulles Youth Sports, Inc. is a non-profit organization (Tax ID 20-5692563) providing Cheerleading, Football, Track & Field, Cross Country, Volleyball, Softball, and Wrestling youth sports athletic opportunities to the youth of Loudoun County's Dulles District area including but not limited to Aldie, Brambleton, Chantilly-Loudoun, Kirkpatrick Farms, Lenah Run, South Riding, Stone Ridge, and many others. Our servicing school areas include Brambleton, Eagle Ridge, Mercer, Lunsford, and Stone Hill Middle Schools; Arcola, Pinebrook, Buffalo Trail, Aldie, Legacy, Cardinal Ridge, Little River, Hutchison, Liberty, Legacy, Creighton's Corner, and Rosa Lee Carter Elementary; and Briar Woods, Rock Ridge, Freedom, and John Champe High Schools. 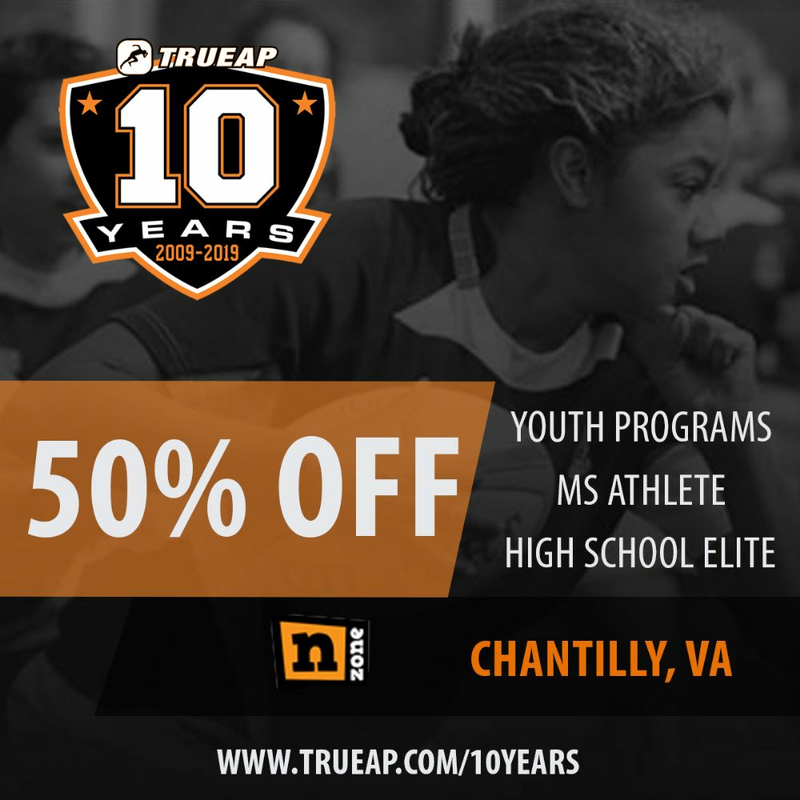 Our Partner, True Athlete Performance is Celebrating 10 years of Sports Performance Training. Together we're offering 50% off Spring group sports performance training classes. 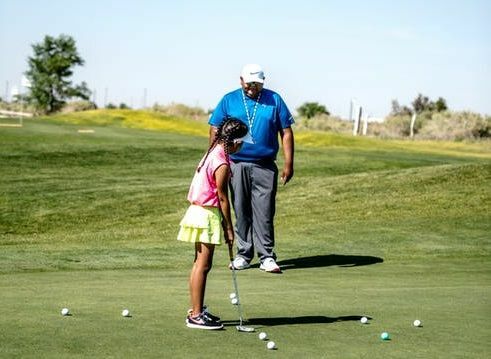 True Athlete Performance (TrueAP) helps athletes from the age of 8 on through to the pro level improve their athletic performance while simultaneously learning life-long skills, including developing a higher level of self-confidence. FCYFL 2018 "Player of Year". 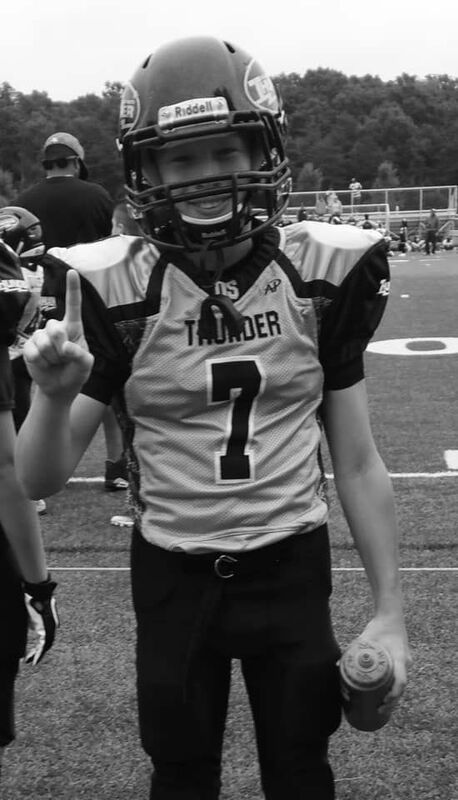 At the 2018 Northern Virginia Football Hall of Fame Banquet, Cameron was selected as the outstanding player for all FCYFL's 23 Clubs, hundreds of teams and thousands of participants. He and his family will enjoy a trip to Canton's Pro Football Hall of Fame this summer. What an outstanding achievement being recognized as the best of the best! Returning Players April 23rd- Certificate Return Day. 4:30pm-Dusk every Tuesday starting May 7st through September.